Complies with ASTM D 3577, Type II. 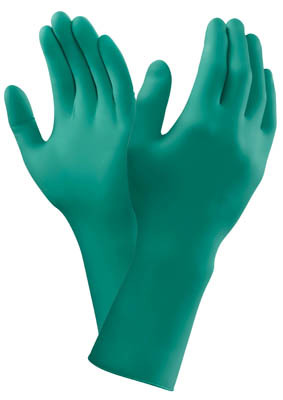 Ansell™ TouchNTuff™ 93-300 Series Green Nitrile Gloves are ideal for use in electronics and semiconductor manufacturing, and laboratory testing. For Use With (Application) For blending of liquids, filtration processes, vaccines injectables operations etc.